Good Hotel at very economically priced. Near to the airport and friendly staff. The room had rats, no fixed rates for rooms, the bed sheets were very dirty, it was more of a marriage palace. The breakfast buffet was pathetic. Overall very poor experience. Paid 25 pounds for one meal only. If you include breakfast, lunch and dinner than a minimum of 75 pounds. The hotel room was 31 pounds only. So food is quite expensive. Although we made our booking through Agoda, hotel did not receive a confirmation. Hence, then insisted us forwarding them the confirmation mail we receibed from Aoda. If not we were told we will not be able to get access to the room. Hotel Wi-Fi access process was too hectic. 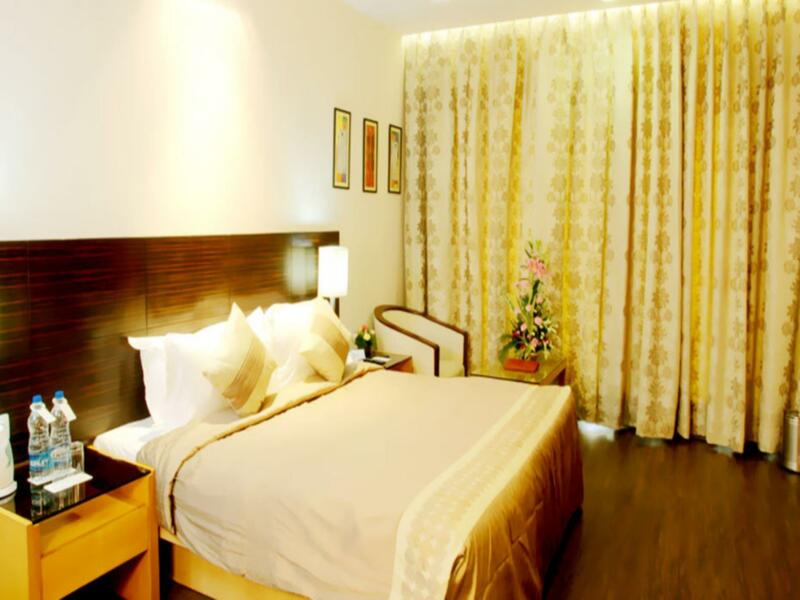 It is situated at a place which being in Delhi is just at a stone throwing distance to Gurgaon. The hotel is spread in ahuge area and it's ambience is good, the room big and the food very tasty. I would greatly recommend this hotel for a stay in connection with a long distance flight. 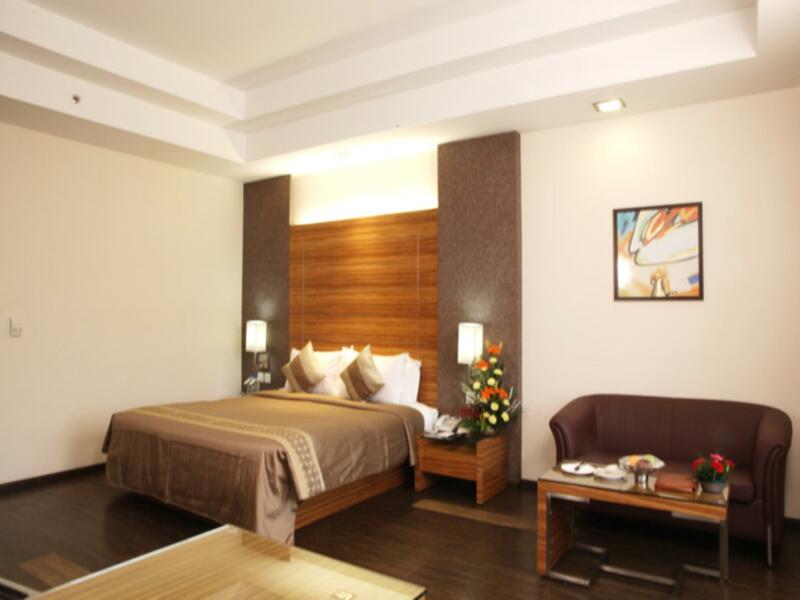 It is convenient to the airport, but too far away from the city of New Delhi for a longer stay. The rooms are clean. This is also true for the bathrooms. The staff is knowlegable and very helpful. had a problem at check in. the hotel told me they don't have my reservation. after arguing with them for an hour, had to make an international LD call. then the problem was solved in 5 minutes. from 6 PM the room was really loud as mentioned in previous posts, then moved to another room that was better. otherwise alright. Big Room, Work Desk, Excellent Bed and Pillows. i was very surprised how nice this property was. well appointed rooms, of 4 star quality.it was cheap and quiet when i stayed in august (low season). only problems was hot water was lukewarm, and the hotel had no change smaller than 100ir. free hardwired internet in rooms.this property is not walking distance to anything.....great for a comfortable layover.i did not eat there.all the satellite english channels on plasma tv, refrigerator/minibar and a in room safe. The hotel is close to airport for overnight stays but very disappointed by the rooms. The towels had seen better days and were very grey which put us off using them. The food in the restaurant in the evening and breakfast was average. The staff were a let down and certainly did not makes us feel welcome apart from those lower own the chain who were pleasant. I arrived in the middle of the night, and was taken to my room without any difficulty. The front portion of the hotel was a marriage venue, but it was nice and quiet during my stay. The room was fairly new as the hotel was opened in 2011. It takes around 10-15 minutes to get to the airport from this place. this is the best location a business traveler can wish for... very near to the airport and on the border of delhi and gurgaon. it's a beautiful property having only two floors and huge landscape, thus much open than the bigger star high rise hotels. the staff is very polite and co-operative, the rooms are big and very comfortable and the food is also too good. 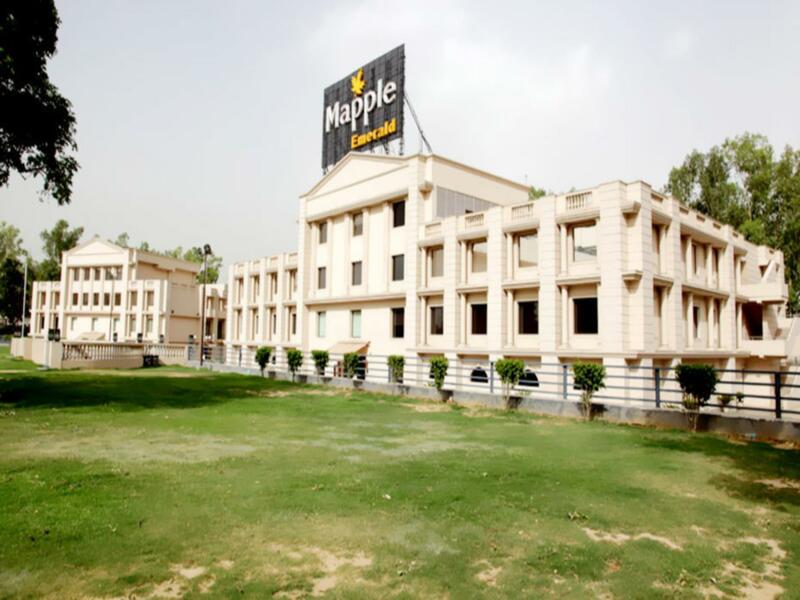 We spent only one night in Mapple Emerald but it was very important for us rest well after quite exhausting travel trough Uttarakhand Province. We found here very warm reception, a comfortable, perfectly clean room and a restaurant providing tasty fresh food. Next morning after tasty breakfast, we left the hotel and some hours later India. set-up your own small work station. The staff is really friendly and you will smiling faces all around. Provides a real quick service. Breakfast has a many dishes to choose from. It takes 15-20 minutes to IGIA on a normal day. This was the first time for me but I would prefer to to stay there again in future.